Since the wedding three weeks ago my hubby and I hadn't really gotten a chance to have some downtime in our condo. This weekend I finally got to put my feet up and take a long, relaxing bath. I used NSPA products for the first time and I have to say I'm super impressed. Everything smells so delightful and once I finished my bath time routine, I noticed the fruity fragrance had taken over our entire apartment! NSPA is a UK-based company that offers luxury spa products at an affordable price. The brand recently launched in Walmart. Keep reading to find out how you can have a chance at winning some items to try yourself! NSPA Coconut Shower Scrub: It's moisturizing and smells incredible. I only had to use a little and could easily lather it using a loofa. There are lots of natural vitamins in the shower scrub including vitamin A, E and B5. A lot of times when I use a shower scrub I find that it makes my skin dry, but this was refreshing and soft. 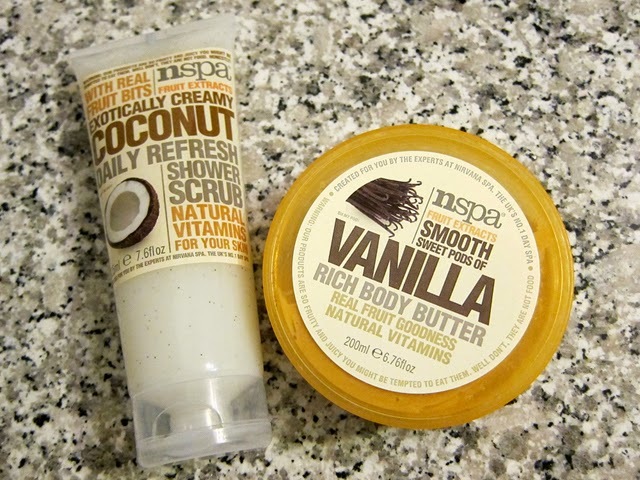 NSPA Vanilla Rich Body Butter: The consistency is great; it's a bit lighter than I usually prefer but still did the trick. I can still smell the vanilla on my skin even hours after using the butter. NSPA Skin Renewal Gel: This is considered one of their higher-quality products. I'm usually very picky about what I apply on my face but was pleasantly surprised by how nourishing it felt. The gel quickly turns into an oil consistency and is very gentle on the skin. 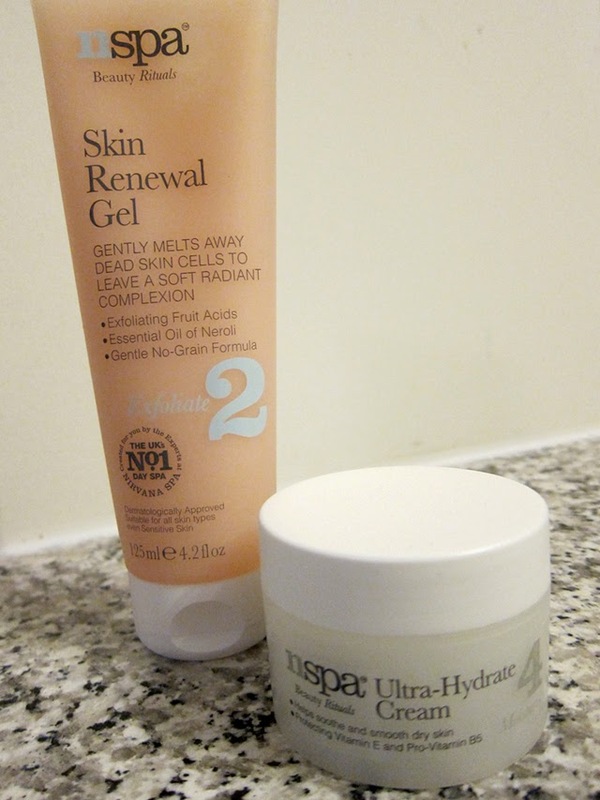 NSPA Ultra-Hydrate Cream: My favourite out of the bunch! 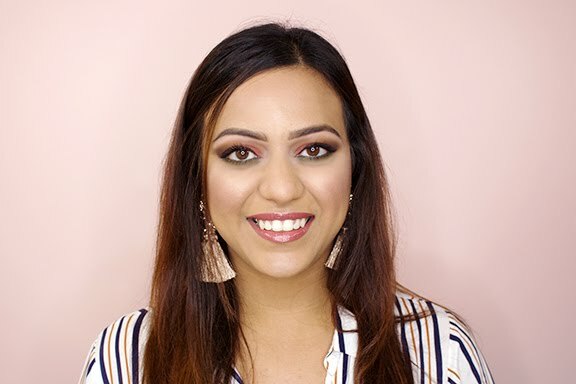 I suffer from extremely dry skin, especially in the colder months, so I'm always on the hunt for the most hydrating creams that work well with my complexion and skin-type. This cream has ginseng, vitamin E, and pro-vitamin B5 which helps with the hydration. It doesn't feel thick or oily on the skin, and still keeps you feeling moisturized for hours. 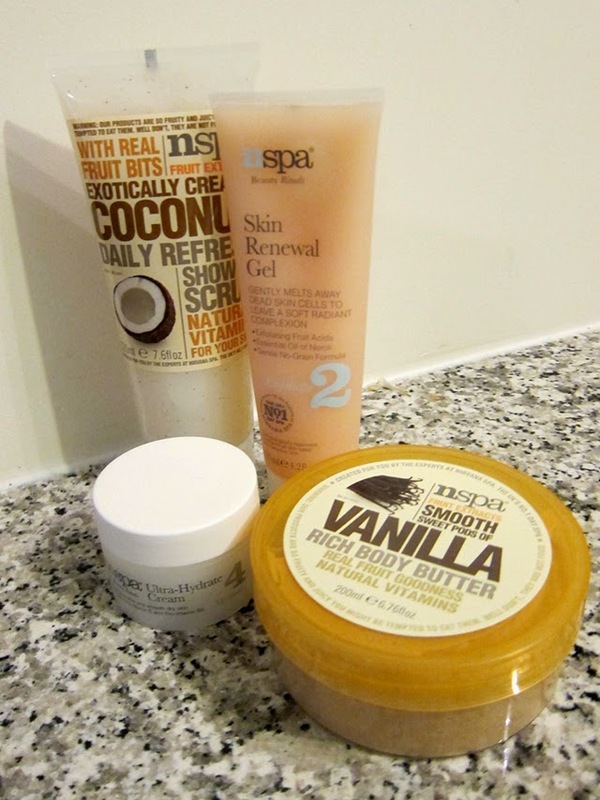 Enter to WIN products from NSPA! NSPA has kindly offered to give one lucky reader three full-sized products. 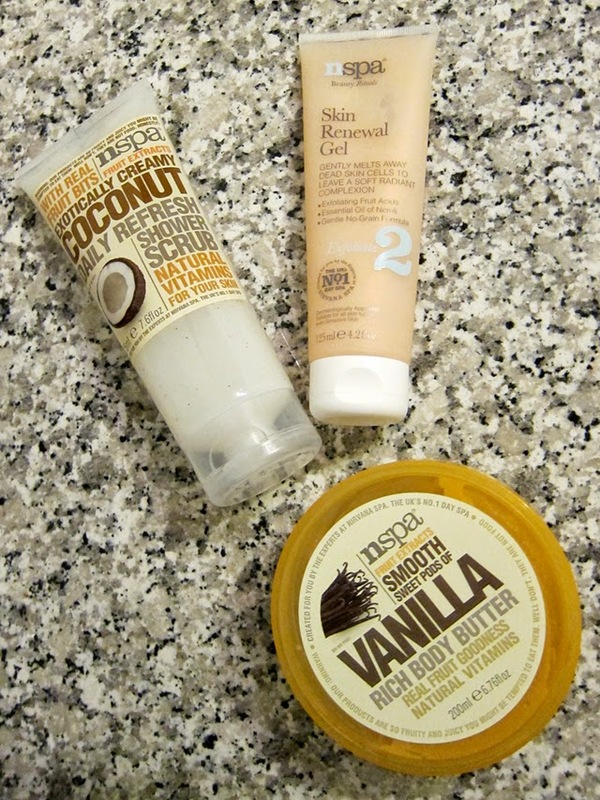 This package includes the Coconut Shower Scrub, Skin Renewal Gel and Vanilla Rich Body Butter! I'm a fan of all three items and I have a feeling you will enjoy them too. To be eligible, you must leave a comment on this post telling me which product of the three you are most excited to try! You can also collect extra entries via social media and indicate you did all of them in the Rafflecopter widget below. This contest is open to Canadian residents only and will close on Wednesday, November 12 at 11:59 p.m. ET.